James Bond theme songs have taken a rather sharp downward turn in quality in recent years, but Adele has thankfully come to the rescue. The multiple Grammy Award-winner seemed a fine fit to tackle the theme for Sam Mendes’ Britain-heavy Skyfall, and now the full song has landed online to prove that Adele was an inspired choice. The song harkens back to the classic themes of old and brilliantly mixes in elements of Monty Norman’s “James Bond Theme” without it coming off as crass or jarring. 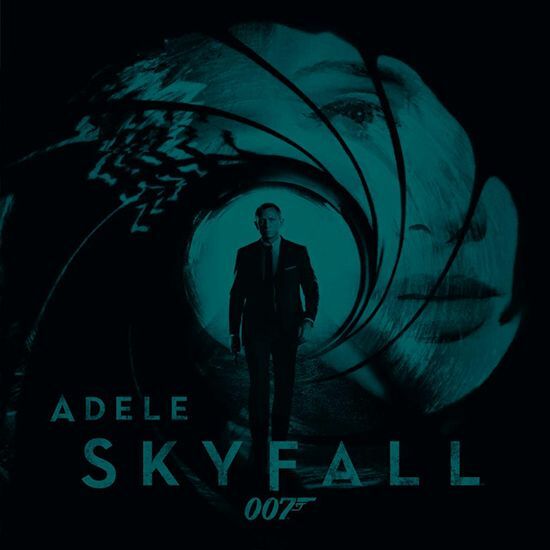 Adele co-wrote the song with her Rolling in the Deep producer/collaborator Paul Epworth, and the result is a Bond theme for the books. In addition, the first clip from Skyfall has gone online, so click here to watch it. In SKYFALL, Bond’s loyalty to M (JUDI DENCH) is tested as her past returns to haunt her. 007 must track down and destroy the threat, no matter how personal the cost. When Bond’s latest assignment goes gravely wrong and agents around the world are exposed, MI6 is attacked forcing M to relocate the agency. These events cause her authority and position to be challenged by Gareth Mallory (RALPH FIENNES), the new Chairman of the Intelligence and Security Committee. With MI6 now compromised from both inside and out, M is left with one ally she can trust: Bond. 007 takes to the shadows – aided only by field agent, Eve (NAOMIE HARRIS) – following a trail to the mysterious Silva (JAVIER BARDEM), whose lethal and hidden motives have yet to reveal themselves.